Why choose between a comfy sofa or bed with this superb and subtle elegant design that works in any home environment. 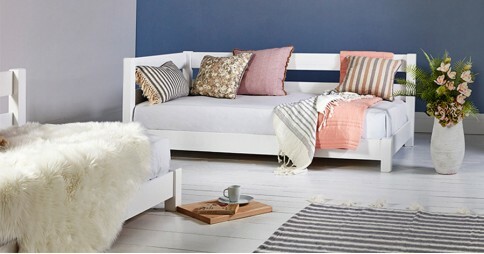 The Get Laid Beds day beds collection is one of our newer, most innovative creations. Boasting multifunctionality that other wooden bed frames simply can’t offer. The day beds aren't just limited to fitting into your bedroom, but just about anywhere you might want them to. They’re a contemporary alternative that’s perfect for any modern home and doubles up as both a sofa and a bed, you’ll be dozing off in no time. Not only that but they also share the height of our Japanese-inspired collection of low beds, making them a suitable addition to any loft or attic rooms or bedrooms too. Our handmade wooden day beds are an intriguing alternative to our Space Saver and Guest wooden bed ranges, and is a great choice for rooms you want to keep spacious while being able to quickly convert it to a spare bedroom. We take pride in our craftsmanship and we feel our traditional handcrafting methods become a feature on all our wooden beds. 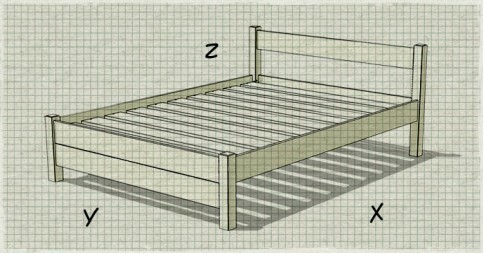 We use tenon and mortise joints that keep your bed durable and to make sure they fit together perfectly with ease. As we offer a bespoke service and handmade all our wooden beds to order, our skilled and experienced craftsmen can make any alterations, such as size adjustments or design changes, that you may need. We believe that you should get your handmade wooden bed in the exact way you want it, and is made suitable for your needs. This is why we can implement any alteration for as little as £55. To help bring a personalised element to all our wooden bed, we offer you to choose to have your wooden bed coloured from our vast range of luxurious colour finishes. This lets you get that perfect personalised wooden bed for you and your bedroom décor. Choose among such colour finishes as the sophisticated white, modern grey, sleek black and smooth chocolate that are popular choices of our customers. 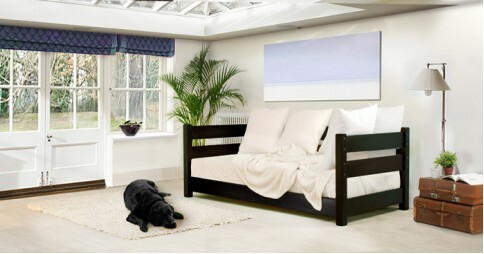 To provide you with even more choice, we also offer handcrafting your wooden bed from our solid hardwood range. This lets you get that more luxurious and natural looking bed frame, and includes such popular choices as Oak, Walnut and many others that will look perfect for your bedroom. As we take our environmental responsibilities seriously, we always aim to ensure that all our timber are FSC and PEFC approved, and we believe that all businesses should strive to be more sustainable. Not only do we pride ourselves in the quality of your wooden beds, but also the quality of our service and customer care. We always keep ourselves to a high standard from handcrafting your wooden bed to delivering it to your door. So if you have any inquiries about our wooden beds or would like to order one of our beds, then we invite you to give us a call on 0207 183 5464.